There's lithium, in demand for battery manufacture, and there's the material it comes from. Sometimes this is a rock, which has to be processed, producing an intermediate product like spodumene, which miners can ship to customers for further refining of lithium. This is the business of several resource companies that are mining in this way. Others, such as those with operations in South America, source lithium from evaporated salt lakes. Another source of lithium has largely been overlooked because there is no commercial process by which it can be obtained. Enter lepidolite and Lepidico ((LPD)), an ASX-listed entity with a portfolio of assets, ventures and intellectual property in several jurisdictions, including Australia, Canada and Europe. The company has a technology, L-Max, which recovers lithium from micas, such as lepidolite, creating an alternative source of lithium supply. L-Max has undergone several mini-trials and a pre-feasibility study has been conducted on the development of a demonstration plant. The company is developing a 15kg/hour pilot plant to smooth scaling-up risk while also completing a full feasibility study on a 7t/hour plant, expecting a final investment decision in 2019. UK-based Edison Investment Research values Lepidico based on the unit operating costs of the 3.6t/hour plant on which the pre-feasibility was conducted. On its assumptions, execution of the 7t/hour phase 1 plant should result in free cash flow of $52m per year once steady-state production has been achieved. Assuming US$30m of equity financing at the prevailing share price, Edison calculates a valuation of 3.98c a share, rising to 5.3c in FY22 based on discounting the estimate of future dividends at a rate of -10% per year. No value is ascribed to the development of the phase 2 plant or other development options. L-Max is considered a disruptive technology that presents an opportunity to create a competitive third source of lithium supply from lithium-bearing micas such as lepidolite and zinnwaldite. There are a number of lithium-bearing micas around the world but there has been no process available to economically extract lithium in order to produce lithium carbonate or lithium hydroxide. The technology is a hydro metallurgical process that uses chemicals such as sulphuric acid, lime and limestone to extract and recover lithium from these micas. While lithium micas are abundant they are not typically treated as they have lower lithium content versus spodumene. The chemistry uses only common reagents and standard equipment. Moreover, the process produces little or no residue and tailings are benign. A suite of valuable byproducts can also be produced in addition to lithium carbonate, including sodium silicate, tantalum or tin concentrate if present, and sodium sulphate. 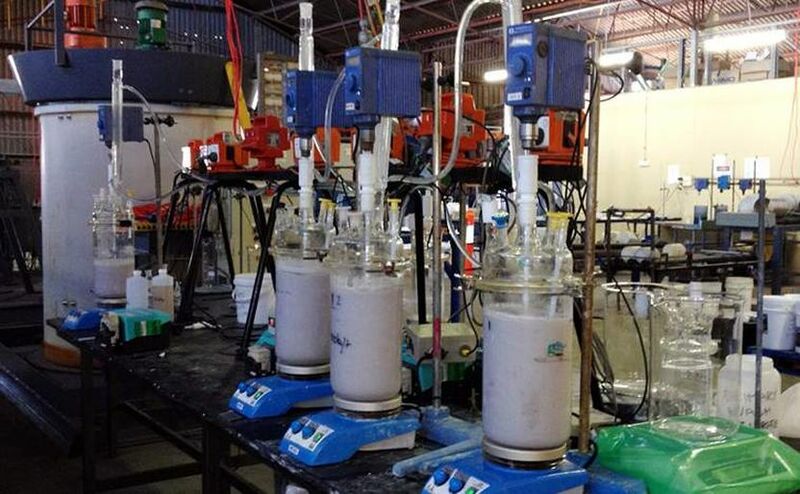 Recently, Lepidico lodged a provisional patent application for an additional process, S-Max, which produces a silica from concentrates sourced from micas which can be sold directly or used as feed. There is also potential to recover caesium, a higher value product which is in demand for drilling completion fluids in the oil and gas industry. Owing to the unique technology, Edison asserts the balance of risks is unlike those in the mainstream mining industry. Process risk has been mitigated by trials of mini-plants and scaling-up risk is also being reduced via intermediate initiatives. Once in production these risks should abate and other traditional risks such as demand, commodity prices, foreign exchange and global economic issues become more significant. Lepidico intends to become a sustainable lithium producer over the next two years and had $4.9m in cash as of June 30, 2018, subsequently receiving $8.2m from the proceeds of a 1-for-7 renounceable rights offer at 1.9c per share. Assuming a positive investment decision mid 2019, Edison expects the company can raise an additional US$30m in equity to fund the phase 1 L-Max plant. This should leave the company with a relatively conservative debt funding requirement of $16.8m in FY20, equating to a gearing ratio of 26.3%. Lepidico, a private lithium explorer, was acquired by Platypus Minerals in 2016. Platypus shareholders subsequently voted to change the name to Lepidico. In 2017 Lepidico formed a commercial relationship with Galaxy Resources ((GXY)), whereby Galaxy subscribed for a 12% strategic shareholding via a private placement. Galaxy Resources is assisting Lepidico with future business and growth opportunities, including evaluating potential synergies with the Mount Cattlin mine and James Bay projects, as well as accessing additional mica feedstock for processing via L-Max. As a result of the investment, Galaxy also has a representative on Lepidico's board. NB: The source report has been commissioned by Lepidico and prepared and issued by Edison for publication globally.